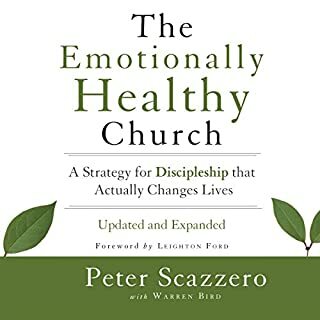 The newly updated and expanded edition of the groundbreaking best seller The Emotionally Healthy Church features a fuller, deeper look at the six principles contained in the original and includes a crucial additional chapter: "Slow Down to Lead with Integrity". Our churches are in trouble, says Scazzero. I'll love this book, but in paper format! 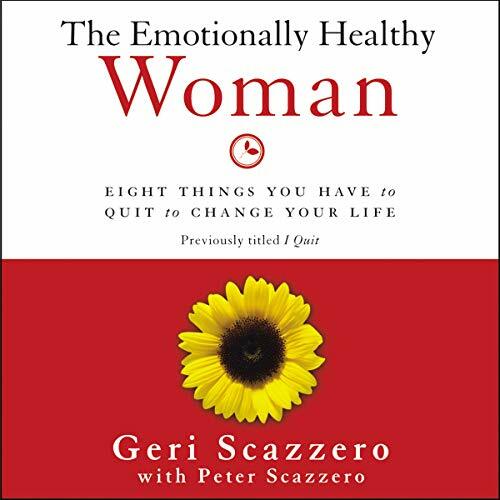 Part of the best-selling Emotionally Healthy Spirituality audiobook collection, The Emotionally Healthy Woman provides women a way out of surface-level spirituality to genuine freedom in Christ. Geri Scazzero knew there was something desperately wrong with her life. She felt like a single parent raising her four young daughters alone. She finally told her husband, "I quit" and left the thriving church he pastored, beginning a journey that transformed her and her marriage for the better. 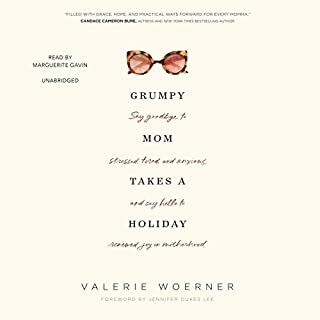 This audiobook is for every woman who thinks, "I can’t keep pretending everything is fine!" Geri speaks like a friend as she uses personal stories and biblical principles to help you find your way out of superficial spirituality and move to a deep, meaningful, life-changing relationship with God. And the journey begins by quitting. Geri quit being afraid of what others think. She quit lying. She quit denying her anger and sadness. She quit living someone else's life. When you quit those things that are damaging to your soul or the souls of others, you are freed up to choose other ways of being and relating that are rooted in love and lead to life. 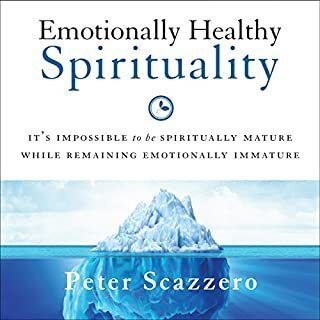 Check out the full line of Emotionally Healthy Spirituality audiobooks dedicated to many different key areas of life. Workbooks, study guides, curriculum, and Spanish editions are also available. Enneagram personality information and evaluation checklist available in the audiobook companion PDF download. 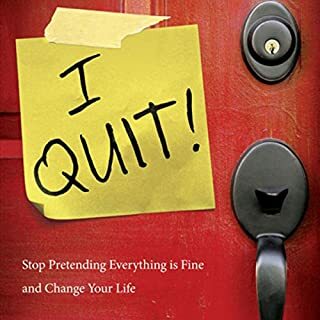 Quitting is not something usually associated with Christians- in fact I do not think of myself as a quitter at all; yet God used Geri to help me to see several things I need to quit- like lying! I’m a good Christian - in fact I’m a pastor! But I didn’t realize how often I say yes to people even though I want to say no. I simply say yes because I think I’m supposed to, because it is the nice thing to do. The result is I end up overcommitted, taxed and worn out trying to meet everyone else’s needs instead of doing only what God has called me to. 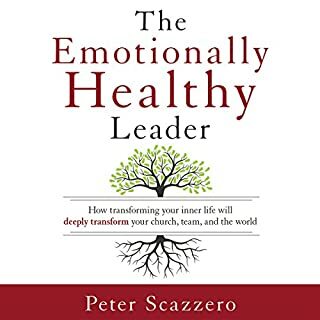 I have read all of the other “Emotionally Healthy” books by the Scazzero’s and each has beautiful gems of wisdom. There is some overlap, but surprising little. In fact any overlap is a helpful reminder, “oh, yeah, I forgot I need to do that, think that, change that, etc.” I have read other books on emotional health, deliverance, spiritual health and maturity. 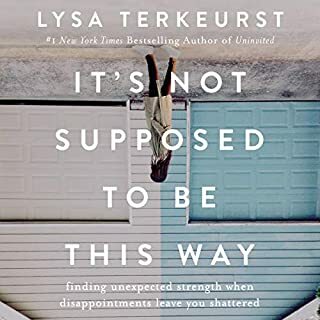 It is possible that some of them tilled up the soil, but the Emotionally Healthy Leader, and EHS were the ones that God used to bring breakthrough. I highly recommend them!